Are you still using traditional marketing channels such as print, flyers, postcards, radio, TV and billboards? These channels are no longer effective in today’s modern age! 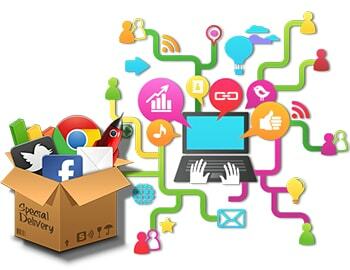 Try Digital Marketing; it’s a refreshingly new approach to marketing! Digital marketing offers a unique understanding of consumer behavior. It is more engaging and more responsive. Digital devices (PC, tablet, mobile phones, etc) are now the first touch point for the consumer and Digital Marketing leverages these devices to provide an experience that influences a desired audience to take action. Our experts employ a number of strategies including email blast, blogs, Internet advertising, reviews and offering informative and engaging content. We deploy these strategies across all digital devices, platforms and channels. Let’s start a no-obligation discussion on how we can help!